Tick “INsiders” is a citizen science project to improve the prevention, diagnosis and treatment of tick-borne diseases in Indiana. Our mission is to better understand the risks of tick-borne diseases across the state, and improve health care for Indiana’s citizens. Our challenge is to determine the range and incidence of tick vectors, and the pathogens circulating in Indiana’s tick populations. 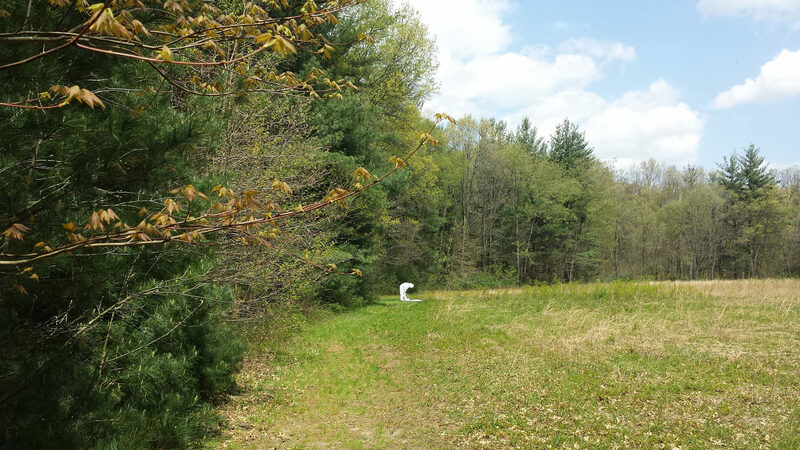 Our team of entomologists conducts sampling for ticks at State Parks and other locations around the state. We sample for three tick species considered vectors of disease – the Lyme disease tick, Ixodes scapularis, the American dog tick, Dermacentor variabilis, and the lone star tick, Amblyomma americanum. Indiana High School Students tick collecting at Shades State Park (2018). Ticks are analyzed at Purdue for hundreds of bacteria and viruses using a sequencing technique called “MiSeq”. We use this information to develop detailed, region-specific disease-risk maps and educational materials for public health professionals. In 2019, we are excited to launch a new phase of Tick INsiders! We invite Indiana residents to help us expand our sampling efforts to multiple locations in all 92 Indiana counties. Our goal is to better understand disease risk around the state and at regional level. Anyone interested to assist our team in sampling for ticks on private property can access instructions on tick collection and sample preparation via a series of online videos. To access the videos, click here. We are excited to build on these efforts and add many more sites to this map. Please help us to sample at least one site in every county in 2019! Each year we seek highly motivated high school students (grades 8-12) with an interest in public health, infectious disease, entomology, and environmental science to join the Tick INsiders project in Spring-Summer. 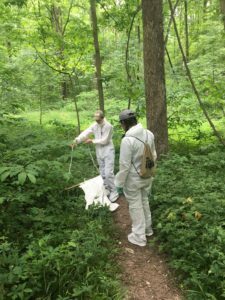 New in 2019, we invite students to take part in a one-day workshop on the West Lafayette campus on March 23 from 9:30 AM to 3:30 PM to receive training in tick identification, field collection techniques, sample preparation, and sending ticks to Purdue for analysis. 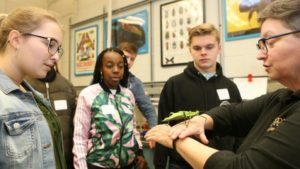 This educational workshop will introduce students to the biology of Indiana ticks and common tick-borne diseases, and explore career paths in the fields of medical entomology, environmental science and public health. Spaces are available for up to 50 students. Please note that participation in the workshop is not required in order to collect and send ticks to Purdue, but it is strongly encouraged. As in 2018, qualifying applicants will also have the opportunity to visit campus in fall 2019 for a “Day on Campus” where they will meet the Tick INsiders team, tour facilities, and see science in action. This “science immersion” will provide students with an insight into sample and data analysis, and how their efforts have contributed to an understanding of tick-borne disease risk in Indiana. 2018 participants are strongly encouraged to apply. Students can collect ticks on their own time and on any property where they have permission to sample. Collection is weather dependent and typically conducted between April and September. Collections can be performed on any day, weather permitting, from mid-morning to late afternoon. Applicants must be able to commit to a minimum of three separate tick collections. The selection of sampling dates is at the discretion of the student but should ideally be performed at regular intervals depending on the seasonal activity pattern of the tick species of interest. Guidance on optimal sampling dates and locations will be provided by the Tick INsiders team throughout the season. All sampling days must be recorded and will count towards the total, whether or not ticks are recovered. A background in biology or entomology and previous experience in field research is strongly recommended, but not required. Students enrolled in 4-H (esp. entomology, wildlife, or shooting sports education) are particularly encouraged to apply. Participants are advised that taking part in tick collection carries a small risk of exposure to ticks and tick-borne diseases. Reasonable precaution is taken to minimize contact with ticks, including instruction in the correct use of personal protective equipment and repellent, and directions on the safe removal and disposal of ticks. Please see https://tickinsiders.org/ticks/ or https://extension.entm.purdue.edu/publichealth/insects/tick.html for more information about ticks, tick habitat, and disease risks. Click here for Tick INsiders application.